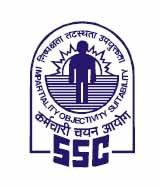 Staff Selection Commission (SSC) has published Notification regarding Revised Dates of Online Application of 54953 GD Constable 2018, Check below for more details. It may be noted that receipt of online applications would commence w.e.f. 17-08-2018 at 10 AM. Accordingly, the last date for submission of online applications for the said examination would be extended up to 17-09-2018 (5 PM). Payment through Challans of SBI can be made at the designated branches of SBI within the Banking hours up to 20-09-2018, provided the challans have been generated before the closing date and time for receipt of applications. Other terms and conditions will remain unchanged. Commence of Online Application: 17-08-2018 at 10 AM. Last date for submission of online applications: 17-09-2018 (5 PM).